After the call of the disciples, early and lasting impressions leaving many treasured memories were fixed in Peter’s mind as he companioned with Christ to such places as Capernaum, Nain, Bethsaida, Gennesaret, Phoenicia, Caesarea Philippi and Decapolis (ten cities). All of these were within reasonable walking distance of the Sea of Galilee and to this geographical area we now come in our present study of Peter in the steps of the Master. For about two years of His public ministry the Lord lived and taught in and around Galilee, located in the northern part of Israel. On the shores of the lake which he knew so well, Peter together with James and John, witnessed miracles, wonders and signs in such profusion that he must have been one of the most privileged men ever to have lived. All of this was accompanied by rich teaching including what we know as “the sermon on the mount” and “the kingdom parables”. Would we not have loved to exchange places with Peter, even for a day? 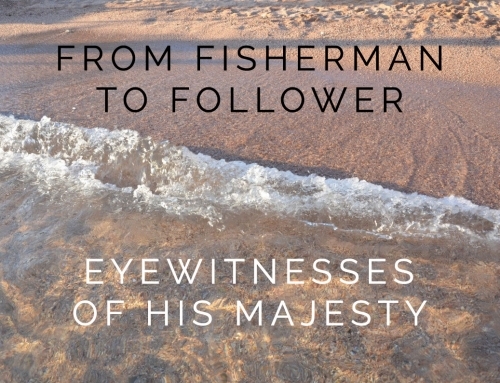 Before focusing on two particular experiences, let us recall some of the amazing events Peter witnessed in these Galilean teaching tours of the Master, bearing in mind that each event strengthened his faith and revealed more of the glorious Person he was following. Take for example the case of the centurion’s servant. This was a remarkable healing because it was done at a distance, an extra dimension which was an added marvel. Then there was the demoniac who may have been known to Peter. Perhaps as a curious boy he had sighted the madman and understood well the futile efforts of men to control him, but now the demoniac sat at the Master’s feet and in his right mind. What can we say about the well documented feeding of the five thousand? This miracle was so public and extensive, involving so many people that it must have amazed Peter, especially as he was close at hand to see how the miracle actually happened. Thereafter as distributor and collector of leftovers he would be further confounded. When we read “many followed Him, and He healed them all” (Matthew 12:15), we can only speculate on the variety of miracles contained in this statement, but Peter, together with the others, must have been left in no doubt that the Person he was following had “come from God” as Nicodemus said. What a wealth of teaching, especially about the Lord Himself, accompanied these miracles. Lord of the Sabbath, Forgiver of sins, to name but two, so that ultimately he must have shared the same sentiments as others who said, “no one ever spoke like this Man”. There were a few special experiences Peter was privileged to share with James and John. One of them was the raising of Jairus’ daughter. Beyond controversy the local people, and most importantly the family, all considered the girl to be dead. Funeral arrangements were under way without delay as is common in the east. The mourners had started their wailing and the flute players were in readiness. Jesus said, “she is not dead, but sleeping” (Luke 8:52), and although it is debatable what Jesus actually meant, there is no doubt it was a stunning miracle and the parents were astonished. Peter saw the effect on the family at close quarters and must have shared in their astonishment. Looking over these Galilean years we see that there was a vast weight of evidence now underpinning Peter’s faith, that the One he was following was indeed “the Christ, the Son of the living God”. This Galilean ministry could hardly be passed over without a reference to Peter’s own special experience on the lake. How many times as a child or even as a fisherman he had fallen in we cannot know, but this time it was going to be different. He had seen the figure on the water and heard Him say, “It is I; do not be afraid” (Matthew 14:27). 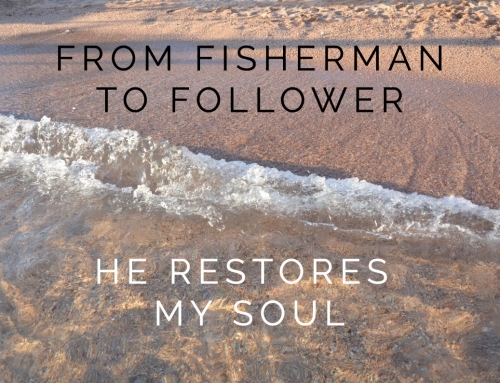 Then, quick as ever, he responded, “Lord, if it is You, command me to come to You on the water”. “Come”, Jesus said, and over the side of the boat went Peter. 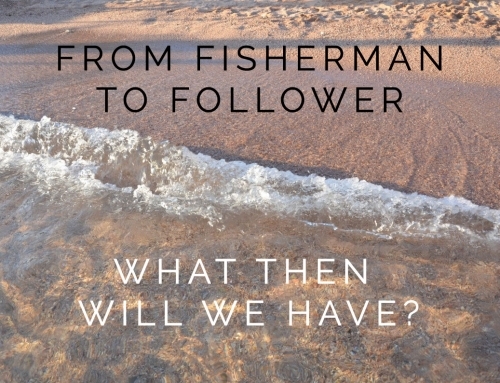 What must it have been for a fisherman of Galilee to walk on waves? Then there is failure and it seems to have come so quickly: Peter is sinking in the stormy sea, but the Lord is at hand rescuing Peter as He would again and again rescue the failing disciple. The early chapters of the book of the Acts contain considerable narrative about Peter, and there we find him firm as a rock, with all boldness testifying for his Lord and Master. Fearless in his preaching, working miracles and leading the disciples in evangelism. It was Peter also who was spokesman for the apostles when Ananias and Saphira were condemned. Prison and beatings awaited him. It is clear therefore that Peter had been moulded into a true, faithful and fearless disciple of his Master and much of this must have been the result of those Galilean travels, the memory of which kept him close to the Lord in those early difficult days of the New Covenant churches of God. Peter’s character as a bondservant, developed so fully after Pentecost, was moulded on the servant character of Christ. This was often seen in the Lord’s dealings with men and events, such as the feeding of the five thousand, in which the Saviour saw the multitudes as sheep not having a shepherd. These events must have left indelible impressions on Peter’s mind and influenced his behaviour in later years. Although he became a forceful leader there was no incompatibility between this and being at the same time a humble slave. “I am among you as the One who serves”, the Lord said (Luke 22:27), and this must also be true of us today, serving each other in addition to serving the same Master as Peter. What an encouragement all this is for disciples of our Lord Jesus Christ. In his second letter Peter describes his readers as those with a like precious faith and we like them share that same faith in our Saviour. We have received divine power (2 Peter 1:3) that we might be partakers of the divine nature, especially as it is to be seen in our godly living and behaviour: so we add to our faith virtue, knowledge, self-control, patience, godliness, brotherly kindness and love. What does all this produce? “You will never fall,” Peter writes (2 Peter 1:10). 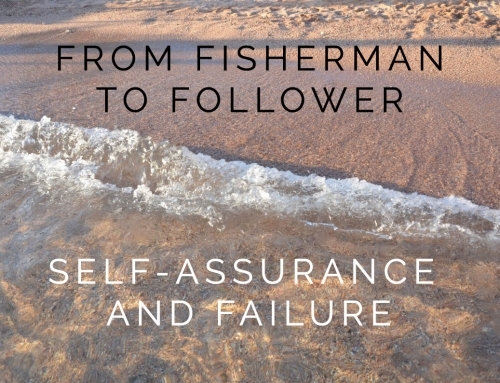 All of this is strong encouragement indeed since it comes from a disciple who stumbled several times himself after having failed (see Matthew 26:33). Sometimes we experience that sinking feeling as the waves of difficulty, adversity and lack of trust in the Saviour overtake us. How good to know that He is immediately beside us with an outstretched hand. Then all we have to do is to stretch out in faith and He will lift us up in safety so that we can be with our fellow disciples again and more importantly know that the Master also is with us. Peter who himself walked in the steps of the Master, has one final message for us. “Follow in His steps: He committed no sin, neither was deceit found in His mouth” (1 Peter 2:21-22), and “grow in the grace and knowledge of our Lord and Saviour Jesus Christ” (2 Peter 3:18).